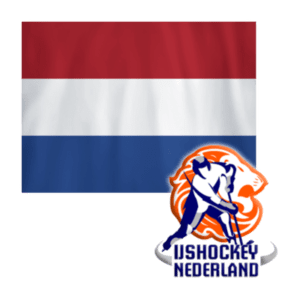 The Netherlands national team, which was relegated to Group B of Division II after a last-place finish in the 2018 International Ice Hockey Federation’s U20 World Junior Championship, has started this year’s tournament in a deep hole, losing 7-0 to host Croatia Tuesday night. The Dutch, who struggled to score goals last year, totaling only 13 in five games, a tournament low, will have a chance stop bounce back Wednesday against Belgium, which has won its only game so far, beating Israel 6-3. Gone from last year’s team are the top four scorers, including 1998-born defenseman Noah Muller, who is now playing Division III hockey in the U.S. at St. Michael’s College, where he has one goal and four assists in 16 games this season. The team will have to rely on returnees Dennis Sikma (1999 forward, one goal, two assists in last year’s WJC), Wouter Sars (2000 forward, one goal, one assist), and forward Jay de Ruiter, who had only one assist last year, but was playing as a 16-year-old and could be a breakout player in this year’s WJC. A few members of the Dutch team have developed, or are developing, their games in U.S. junior leagues. Alexandar Makarin, a 2000-born forward, was playing in the Wilkes-Barre/Scranton Knights’ organization as far back as the 2015-16 season, when he skated in the Knights’ North American Prospects Hockey League and Atlantic Youth Hockey League U16 teams. Tobie Collard, a 1999 forward also known as Tobie Tjin-A-Ton, has played for both the New Hampshire Jr. Monarchs’ NCDC and USPHL Premier squads this season. Eef Gerritsen is also a part of the Monarchs’ organization. The 2000 forward has dressed for a dozen games in the Tier 1 Elite Hockey League U18 division. De Ruiter, who turned 17 on Aug. 1, has played 11 games with the Connecticut Jr. Rangers at the USPHL U18 level, where he’s scored three goals and added four assists. De Ruiter is already a veteran of international competition, having played not only in last year’s IIHF U20 World Junior Championship, but the U18 tournament, as well. Looking ahead to the U18 WJC in Serbia at the end of March, the Dutch will lean on at least one young player to spark the offense. Jay Huisman, a 2002 forward, scored a pair of goals in the 2018 tournament. So far this season, Huisman has scored five goals and set up four in 12 games for the Zoetermeer Panters of BeNeLiga, the top league in the Netherland and Belgium.